Pool fencing is one of the most demanding issues for pool owners. It’s also a highly sensitive issue in the marketplace. 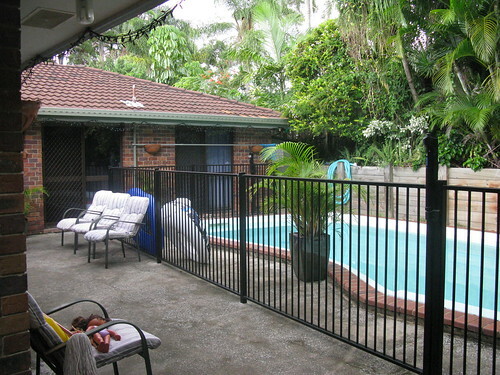 The fact is that the Australian Standard is the defining practical operating principle for pool fencing. If you’re a pool owner, your pool supplies people (everyone in the pool industry will be glad to help as much as they can) and your fencing contractors are your best sources of practical support. The pool industry, fencing contractors and consumer groups have been highly critical of the level of ambiguity and indecision in regulation. Too many kids have died needlessly. The realities of pool safety are based on responsibility and common sense. That applies to all areas of pool functions. As a pool owner, you can control pool safety with some very basic practical measures. Pool security. There should be no way of children obtaining entry to the pool that doesn’t involve the pool fence, gates and other barriers. Non-slip surfaces. Pool areas can involve the potential for accidents for adults as well as children. These are classic public liability issues, and it’s essential that the pool area is properly provided with best quality surfaces. The absolute bottom line with pool fencing is to make the pool actually safe. That’s the real issue, and it can get tricky, particularly if the pool design involves multiple points of access. A comprehensive design based on the Australian Standard. This standard includes self locking gates and clear basic principles regarding fencing dimensions. Window locks to guarantee no alternative ways of getting to the pool. A competent designer to ensure access to the pool is fully secured. Good landscaping to guarantee no alternative access to the pool for kids. Good pool design which achieves maximum safety and public liability values. Realistic pool safety practices, making sure parental supervision is always on hand whenever toddlers go anywhere near a pool. The best and simplest approach to pool safety is to ensure that kids are well protected from dangers, and you can engage them directly with safety measures. The humble kid’s floaties can be personal possessions for kids, their very own special pool toys. Kids will react positively to what their parents say is the right, “grown up” thing to do. They also react very negatively to anything which seems dumb or “childish”. If playing safe is the grown up thing to do, they’ll do it. Make sure at least one adult is on hand whenever they’re anywhere near the pool. Arrange with other parents to do “shift work” to make certain someone’s on standby around the pool. Swimming lessons save lives. Get started early on this approach, and you’ll have fewer worries. A basic dog paddle is enough to keep a kid out of danger. You can make your pool perfectly safe. Get the professional advice you need about the fencing and the pool safety issues, and you’ll never need to worry.